Punjab & Sind Bank(PSB Sarkari Naukri 2019) is a government-owned bank, with headquarters in New Delhi. Of its 1554 branches spread throughout India, 623 branches are in Punjab state. Net NPA is 6.93% for the year ending 2017-18. The bank's operating profit for the year ending 2017-18 is Rs. 1144.71 crores. Applicants who have Completed 10th + Sports Person (Hockey) or equivalent from a recognized Institute for PSB Sarkari Naukri 2019. Eligible & Interested candidates can apply via online in Official website page at www.psbindia.com PSB Sarkari Naukri 2019. Complete the PSB Jobs Application Form with the essential data. 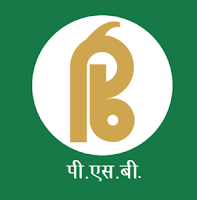 Take a print out of PSB Sarkari Naukri 2019 online application form.